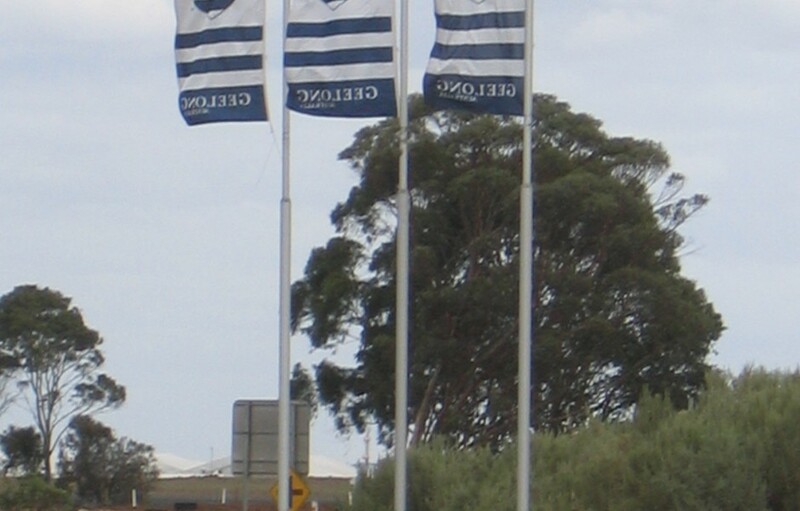 Greg Harte, flagpole expert, completed installation of three very large flagpoles on the Princes Freeway in October, inbound to Melbourne. 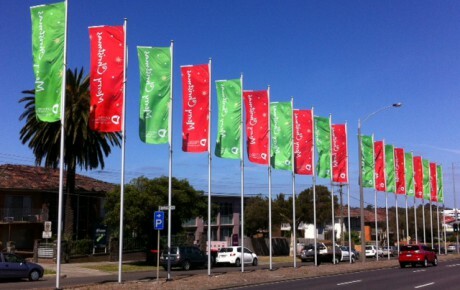 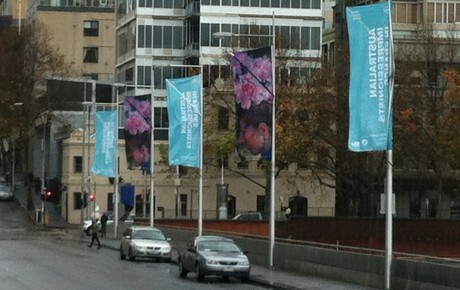 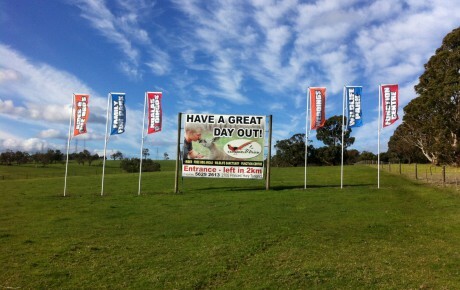 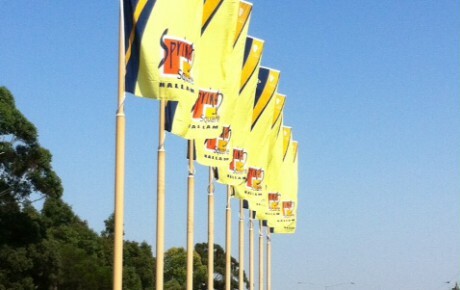 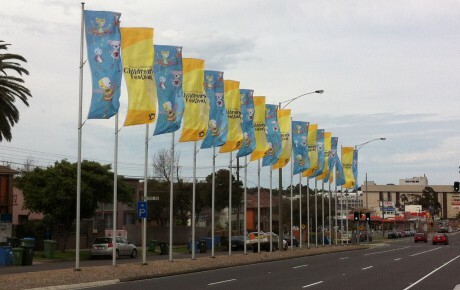 Intrack worked as a strategic partner for Melbourne Visual Events to deliver high quality results for their customer. 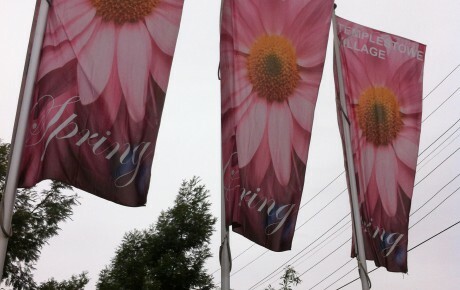 At 150mm diameter stepped down to 100mm diameter x 10.5 meters with two internal halyards, these flagpoles are extraordinary and a stand out of a pole. 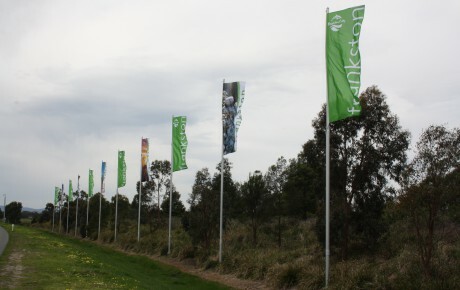 Intrack supplied and installed them. 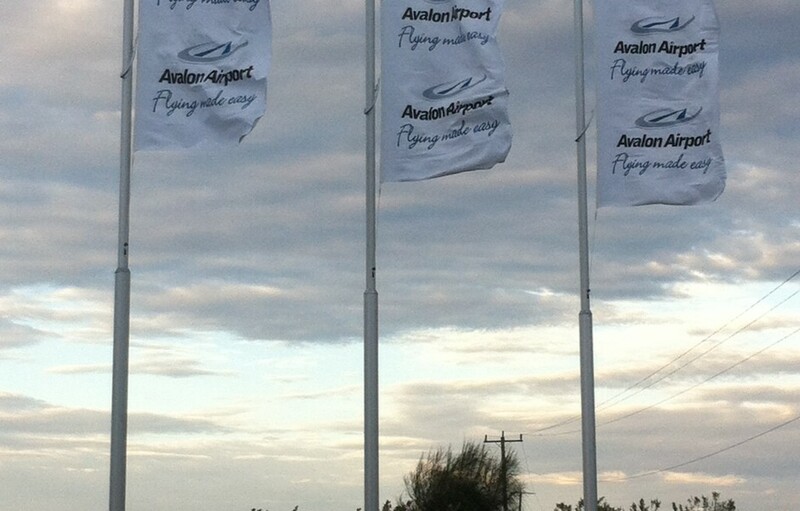 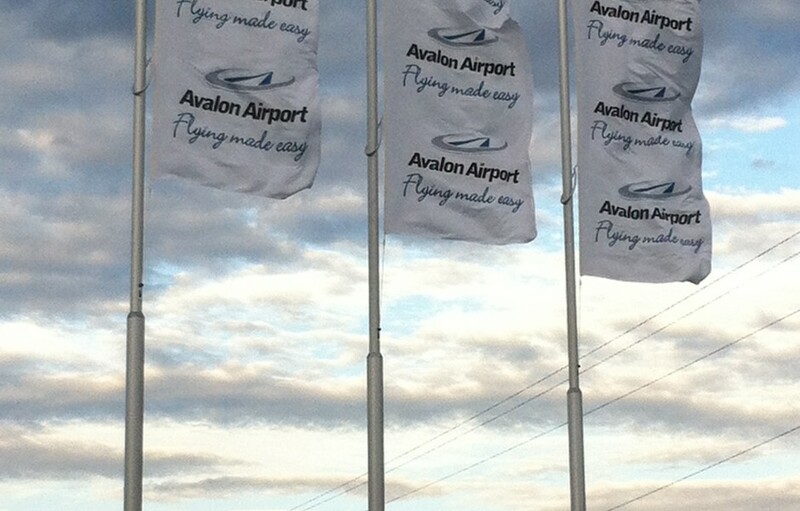 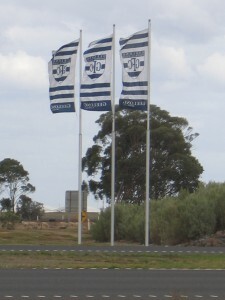 Located at the Avalon Airport Exit, the flagpoles were designed to match the three flagpoles on the other side of the freeway, also supplied and installed by Intrack about eight years ago (that still look fantastic). 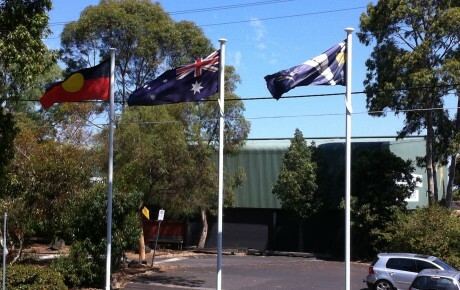 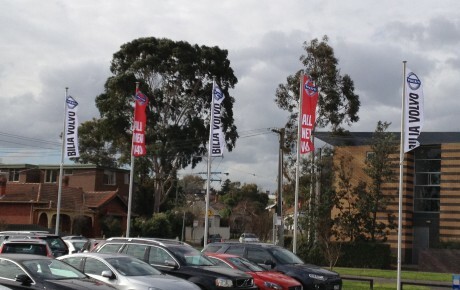 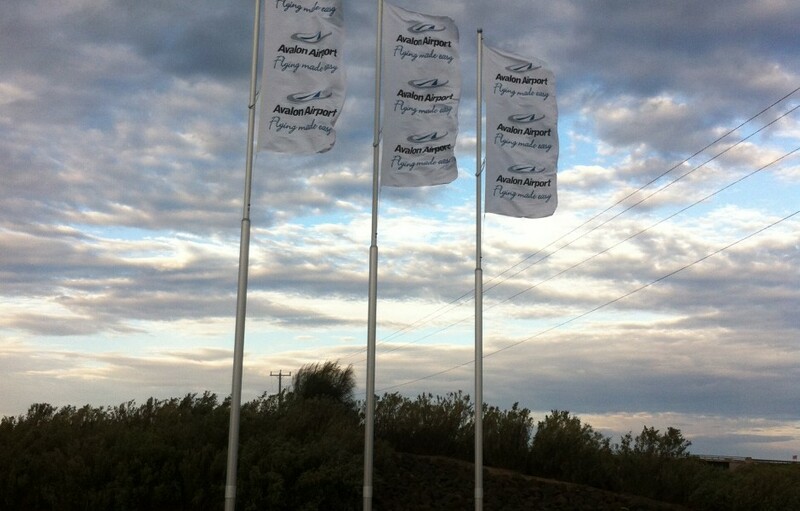 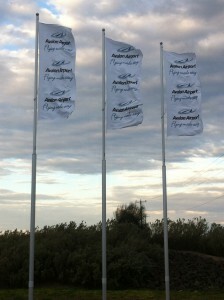 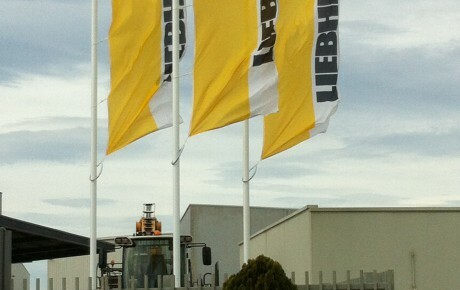 Flagpoles supplied and installed by Intrack in 2005.